Choose this 8-day adventure and get to know 3 of the most beautiful destinations in the Peruvian territory. 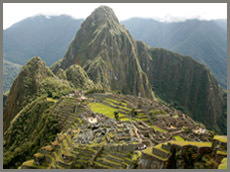 Be amazed by the City of Cusco and its surrounding archaeological sites. Visit the Salt Mines of Maras and the astonishing agricultural terraces of Moray. Enjoy a guided tour through the Sacred Valley of the Incas and explore one of the New Seven World Wonders: the Machu Picchu Citadel. Travel from Cusco to Puno choosing among a luxurious train, a wonderful bus journey with guided stops or a direct flight to Puno's Airport and embark on the unique experience of sailing Lake Titicaca, the world's highest navigable lake. 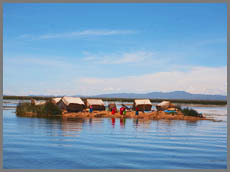 Visit the Uros' floating islands made of Totora reeds and enjoy delicious meal at Taquile Island. Fly to Lima, The City of Kings, and enjoy a tour to the historical center and its distinctive colonial architecture. Also get to know the capital's modern residential areas and shopping centres. Definitely, an experience that will last a lifetime!.